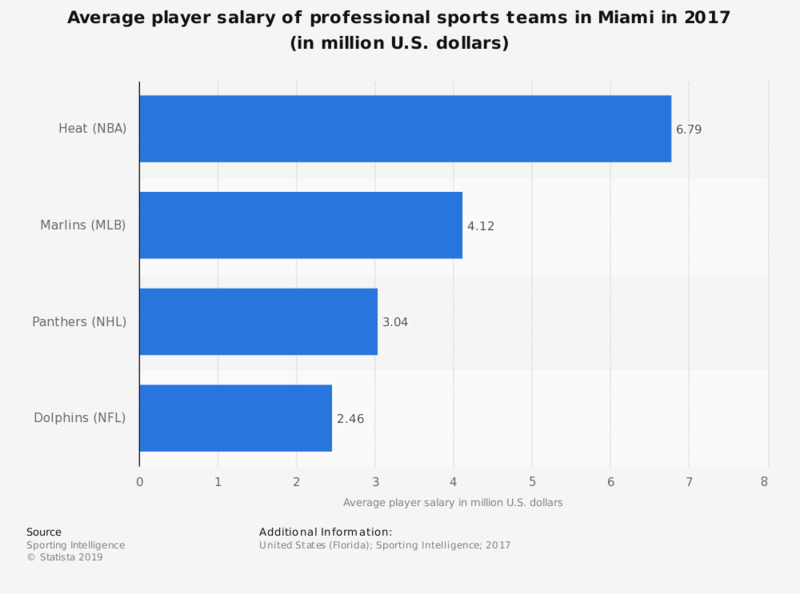 The statistic shows the average player salary of the professional sports teams in Miami in 2017. The Miami Heat of the NBA had an average player salary of about 6.79 million U.S. dollars in 2017. Sports: the most disrupted of all industries?